Adam Powell took the Lomo’Instant Wide on a recent trip to Iceland and managed to capture some stunning landscapes. He tells us about the experience. On his recent photographic projects: 2015 was a year of strange photographic projects for me. Along with a small group of friends we’ve been visiting and exploring London's tunnels and other hidden spaces and engrossing ourselves in the local urban environment. But this year I’ve been wanting to push out a bit and explore other places. On traveling: This year I set myself the challenge of going on at least one overseas trip a month, with the idea of ticking off as many new countries as I could. The original premise was fairly simple. By my 30th birthday in the summer I’d like to have visited at least 30 different countries in my life. Counting them up I’d managed to tally up 27 by the start of 2016, leaving me 8 months to visit 3. Feeling pretty confident that it’d be a straight forward endeavour I began the year revisiting old cities with old friends. Paris, Berlin and Barcelona kicked the year off, before I went on a purchasing binge and booked up a host of other trips for the months ahead. I was most excited about April’s jolly, Iceland. I’d seen so many photos and heard so many fascinating stories about the place that I couldn’t wait to get there and practice landscape photography for the first time in years. On shooting with the Lomo’Instant Wide: I packed my trusty Nikon F100 and took along a Lomo'Instant Wide to put it through its paces. I knew the lighting situation would be a problem so I picked up a 49-52mm step-up ring to allow me to use a Cokin P filter set with the camera. Using a range of Neutral Density grad filters, I darkened the sky to bring it down to a similar exposure range as the rest of the image. I find the dynamic range of the Instax film to be a bit grim, so this helped prevent the sky from overexposing and blowing out completely some of the time. On Iceland: It was a completely mind-blowing experience. Truly the most epic landscapes I have ever seen, and I cannot wait to go back there to see what else the island has to offer. jamjib, lomodesbro, divide-by-zero, nikkipaniki, juniardigiugno, dylanivlivs, syrosa6, powoui, lawypop, lorrainehealy, carblkm5, katiebuck, shalinis, feli84, roxyvonschlotterstein, wuxiong, ktechritz, pan_dre, mariemcnaan, hannah_brown, natchan, lafilledeer, lunt82, nural, snoop, smolda, gelagoo, dop & andrejrusskovskij. These are magnificent! Well done!!! Nice work, I went to Iceland a month or so ago and was gobsmacked by its breath taking beauty, which you have captured well. Recognise so many of your photos, Goldfish, Jokarlsson etc. Can't describe to people how amazing it is. One of my photos managed to make photo of the day as well! Earlier this year, we gave New York-based filmmaker Parker Hill a Lomo'Instant Wide to experiment with. This summer she took it on a road trip, chasing the unique and nostalgic feeling of adolescence in the American South. Hip-Pop artist Jez Dior took the Lomo'Instant Wide with him to photograph his daily life and friends and shares them with us to celebrate his brand-new video! We talked to Joel Magill about his recent trip on tour with Will Varley and the Simple Use Camera. Meet Joel Byron, UK-based film maker who took the Lomo'Instant Square Glass on a trip to sunny Mexico. Meet Marianne Chua who took the Minitar-1 Art lens to Malaysia and Singapore and managed to capture the beautiful architecture of the local areas. We had a quick chat with photographer and art director Enzo Iriarte, who took the Lomogon Art Lens on a trip to China. Pop musician David Charles Fischer, short DCF, recently discovered his love for film photography. 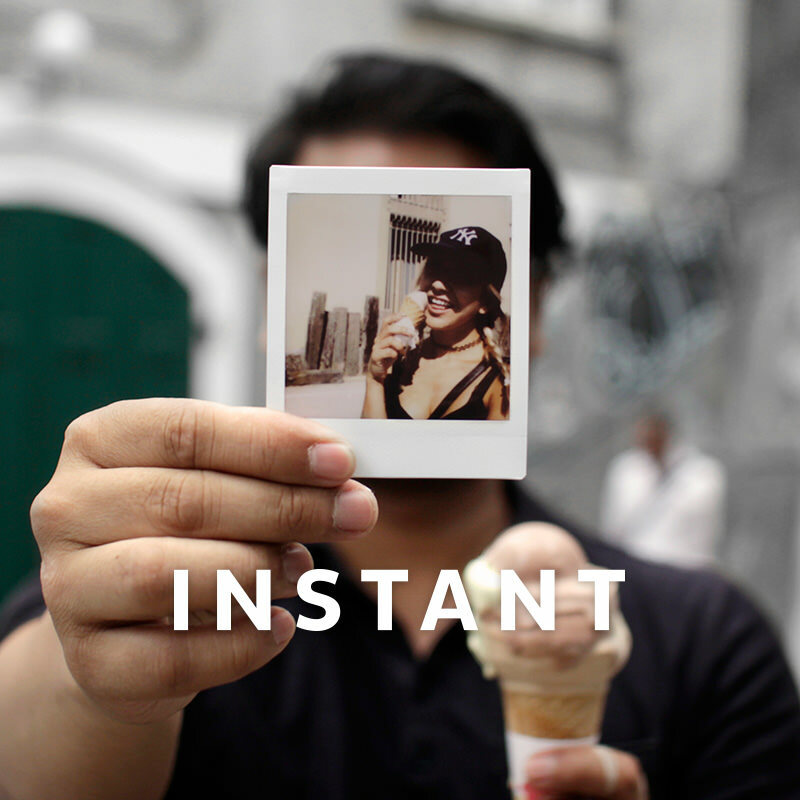 And since we can tell from his music that he isn't afraid to try something new and experiment, we gave him a Lomo'Instant camera to play with.